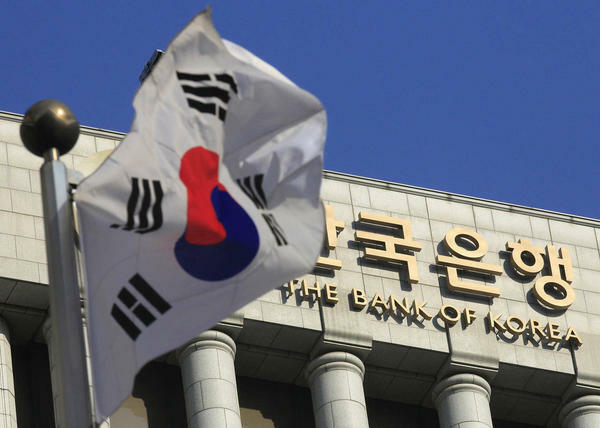 The Korea’s Central Bank just published a report where they express their concerns about privacy questions at the moment where they are about to adopt the distributed ledger technology. But this report entitled “Present Status and Key Issues of Distributed Ledger Technology” goes even further. The authors of the report – the blockchain firm Coinplug, academics and financial technology “experts” – advocate that they may be some barriers that will stop the growth of distributed ledgers. A distributed ledger is simply a consensus that is gathered between multiple countries, sites, and institutions as the way as they can replicate, share and synchronize the digital data. This allows the users of the Distributed Ledger Technology to be able to share the data in a secure way and in real time. Despite what you may think, the Distributed Ledger Technology includes more than just the Bitcoin blockchain. There are other methodologies like the Multichain, Ripple, and HyperLedger Project, among others, to achieve the same consensus. The main difference between a blockchain and a distributed ledger is the fact that the first one employs chain transactions or blocks. However, not all distributed ledgers employ those. – There is the need to be market sanctions. There is also the need to remember that there are public and private distributed ledger technology types, also known as the public blockchains and private blockchains, respectively. While the public blockchains allow anyone to process an identical copy of the ledger and there isn’t someone who owns the ledger, the private blockchain can only be used by a limited number of participants. The copies of the ledger may be identical, however, the network may have an owner. When looking for simplicity, more transparency, and speed, the private blockchains are usually the ones that are chosen. Just to give you a better idea, public blockchains are usually used for crowdfunding, international remittance, and recording and storage of information and assets. Private blockchains are usually used for the smart contract, document or identity authentication, trade finance, and for payment systems. 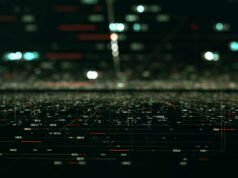 – There should be created a Central Manager or a “Supernode”. – The transaction information can’t be accessed by everyone; only the trading partner and the central manager should be able to access it. – The transactions should be confidential. In order to do it, the anonymity should be maintained as well as the only way for partners to access the deal information is to make deals with them. With the implementation of the distributed ledger technology, an authority problem may arise. So, in order to prevent it, the authors of the report consider that the best solution is the creation of two different participants: the Token Issuer and the Token User. The Token Issuer is the “Supernode” while the Token User are all the other participants. When implementing the distributed ledger technology, is crucial that people trust it and that the technology is reliable. In order to make sure that both these aspects are considered, the authors of the report express their solution within the report. They said that the hash code of distributed ledger (Merkle Root) should be recorded periodically, into a public blockchain. When we are talking about a distributed ledger technology being used by many different users at the same time and to be able to keep a record digitally, that is anonymous, and is available in real-time, is something that should be considered or there wouldn’t be a point in making the change. 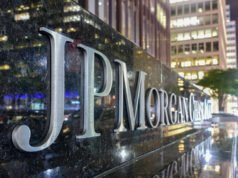 So, the reports’ authors concluded that the distributed ledger technology to be implemented needs to be able to process more than 3,000 transactions per second. So, in order to the distributed ledger technology to be used in the financial services, all these 4 factors need to be considered carefully as well as the solutions need to be implemented to make sure that it works. The information of the trading partners that is recorded on the blockchain should be protected by a “supernode” or a central manager. This “supernode” would also be the one responsible for granting users with limited privileges: while the “supernode” is the Token Issuer, the other participants are the Token users. All this requires that a Merkle root-base should be implemented and that is should be able to conduct 3,000 transactions per second. 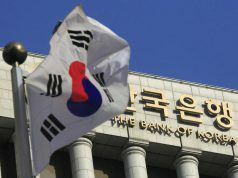 By covering all these factors, the implementation of the distributed ledger technology should be a success and should be able to save the bank 16% of its total costs, about ₩107.7bn. Next articleBitcoin: Blessing or a Curse?